Picking back up after the holiday season the West Point Society of Columbia had its first Benny Havens of the year. Attending were six graduates and family from year groups ranging from 1977 to 2007. In a surprise twist of the night we were pleasantly joined by a member of the Capital City Club – Columbia board of governors, COL (R) Vic Robertson, whose son graduated from West Point back in 1979. We also met Dr. Richard Conant, a Distinguished Professor Emeritus at USC, who agreed to sing the National Anthem at our upcoming Founders Day brunch. 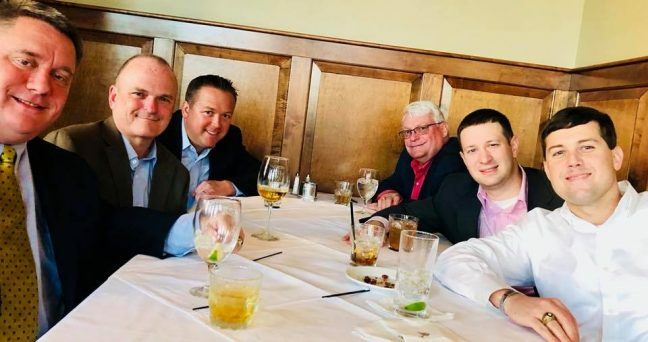 As the hour unfolded, connections were made, ties were strengthened, and reminiscences shared. Photo: L-R, Jim Morris ’77, Society Treasurer; Kelly Hynes Morris, MD, PhD; Dan Beatty ’90, former Society President; Charlie Eadie ’07 (behind camera), Society President; Jack Poole ‘87, Admissions Chair; Vic Robertson, West Point Parent. 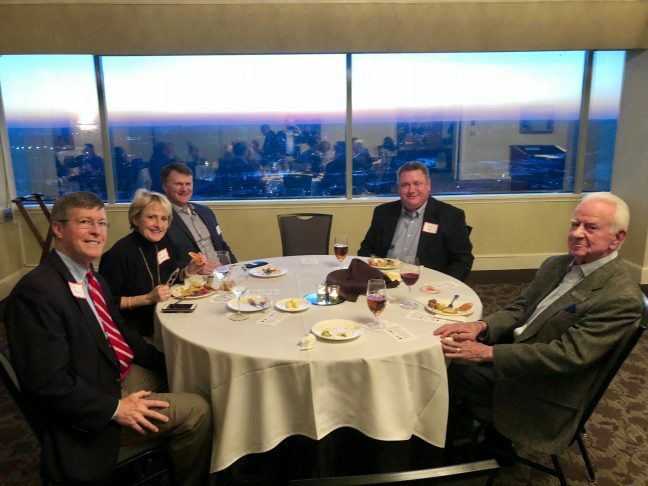 The West Point Society of Columbia, SC recently held its monthly social hour. Attending were six graduates from year groups ranging from 1980 to 2007. Those in attendance shared many stories from their times as cadets and life thereafter with reminiscences of chicken crispitos (and other mess hall favorites), plebe swimming, and the new cadet marchback. Photo: L-R, Drew Shearer ‘80; Buddy Holbert ‘85, Decade Representative; Charlie Eadie ‘07, Society President; Jack Poole ‘87, Admissions Chair; Rob Watts ‘05; John Wall ‘06, Society Secretary and Decade Representative.